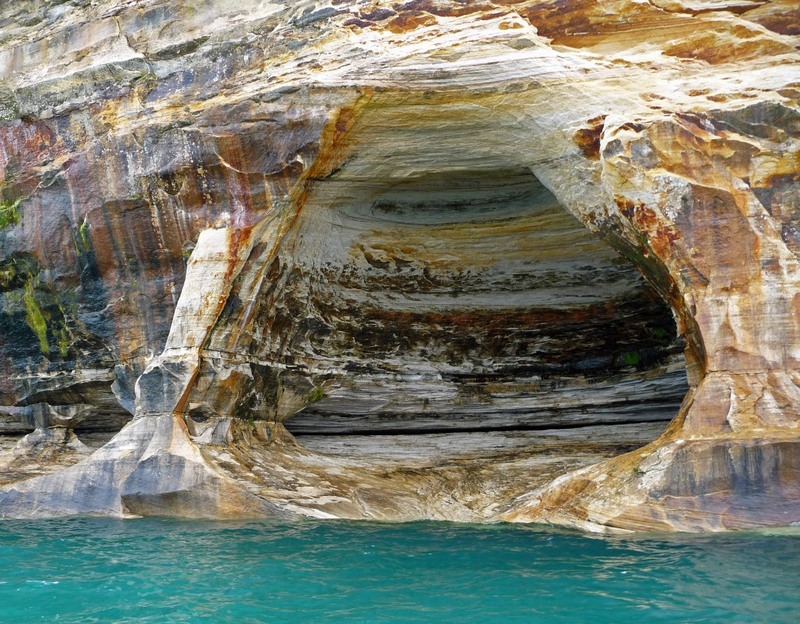 There is no way to adequately describe the 200-foot sandstone cliffs–carved by time and the elements into natural caves and bridges, painted by seeping minerals, and framed by emerald green waters–that comprise Pictured Rocks Natural Lake Shore in Michigan’s Upper Peninsula. Photos don’t do it justice. 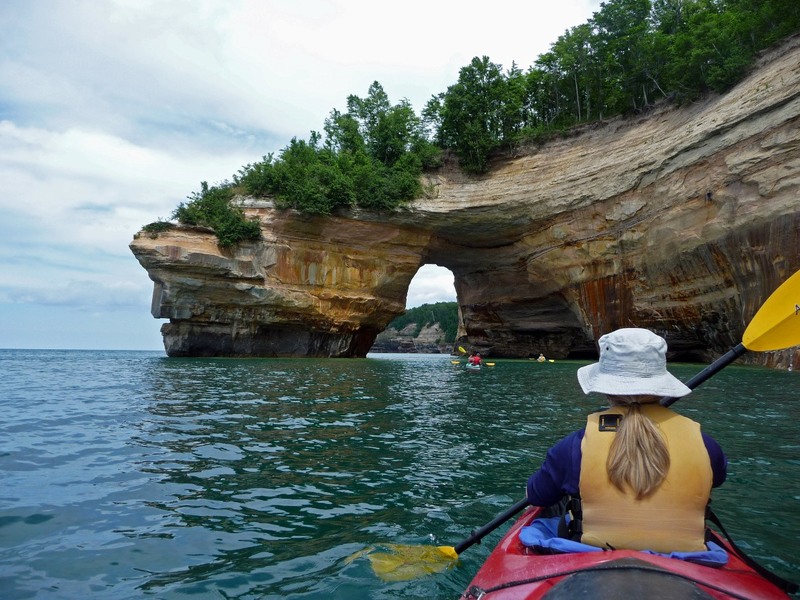 The only way to fully appreciate these natural wonders is to explore them in a kayak, like we did with a tour provided by Paddling Michigan. 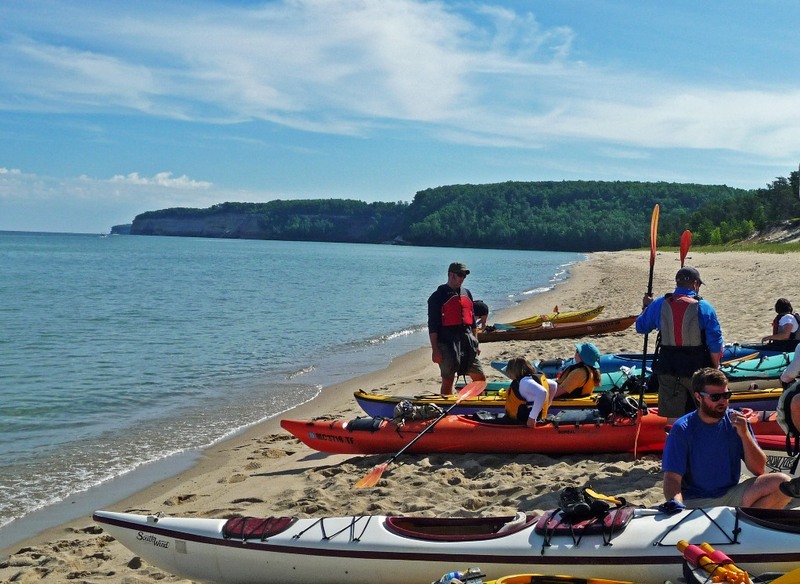 Provided with gear, sea kayaks and a short safety lesson (here’s what to do in the event you capsize . . . ) we set out on our 10-mile, all-day paddle. 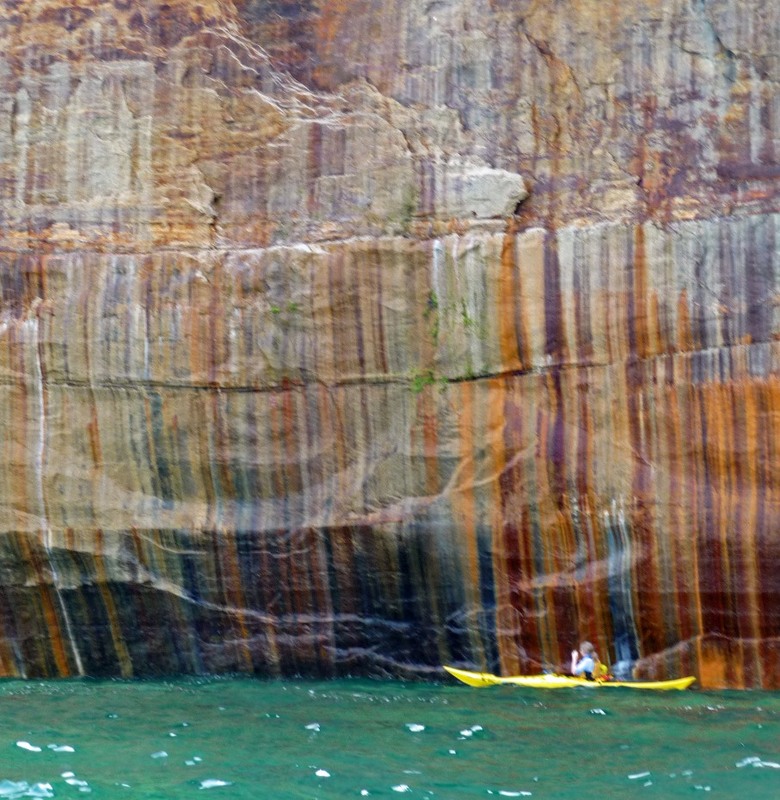 Mustard yellow, rust, turquoise and pink are just some of the colors we identified in the towering cliffs. 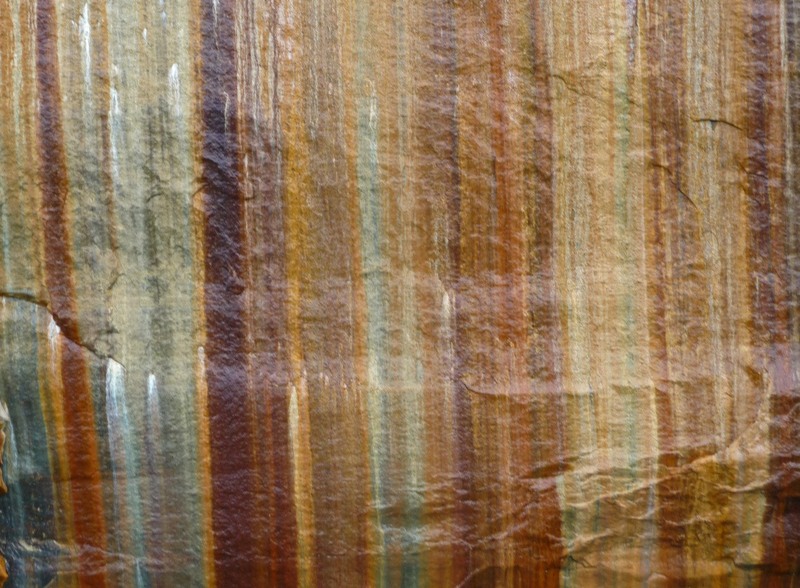 Some are the natural color of sandstone, while others are caused by minerals seeping through the porous rock. Absolutely amazing! What an experience. It ranks among the top things we’ve done. 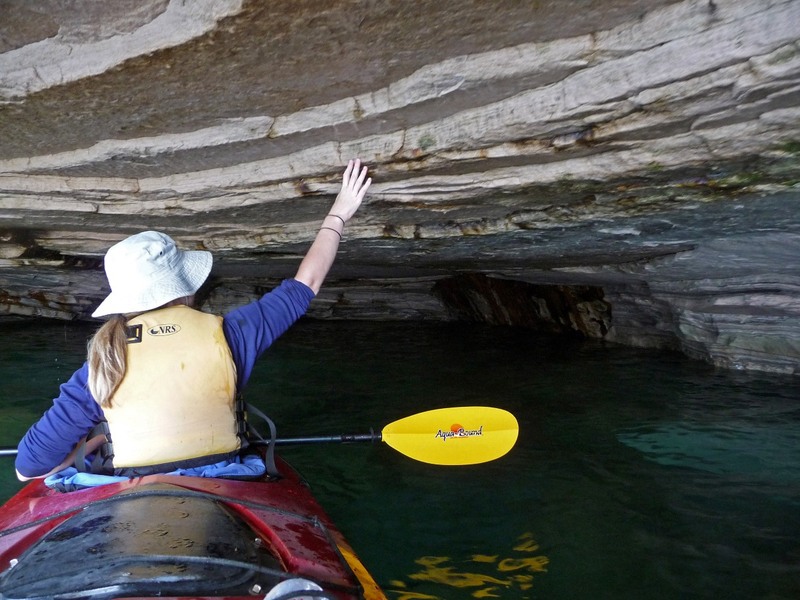 The all-day paddling was physically demanding, we were pretty beat afterwards, but kayaking is absolutely the way to see this stuff. 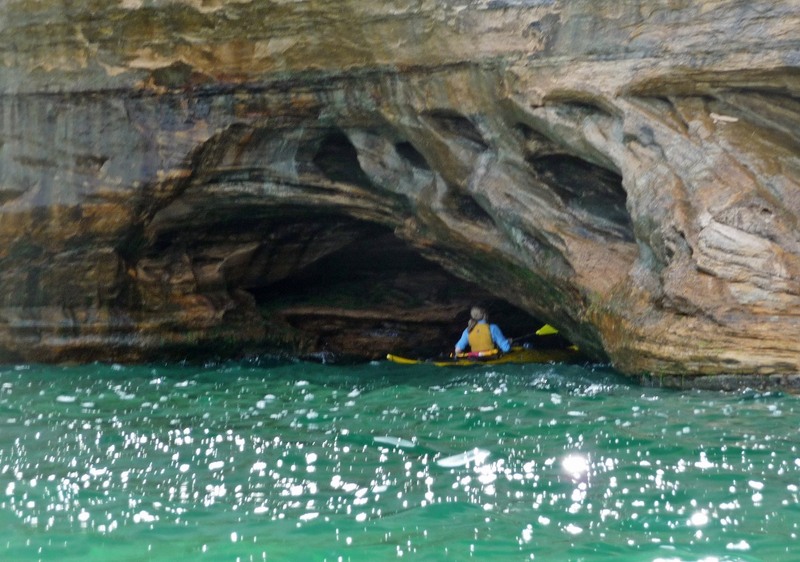 There are giant boats that take people out to see the cliffs, but you can’t beat the feeling of paddling into the “caves” and seeing these things up close and personal. Hey Heyduke, I don’t know if you’re going to make it up Michigan’s way, but this is something that’s absolutely worth checking out. It’s a bit out of the way, but I’m glad we got to see this part of the country. Beautiful pics… and a beautiful hat on Shannon’s head. I have one like that. It is a rather fetching hat, isn’t it? Absolutely amazing. 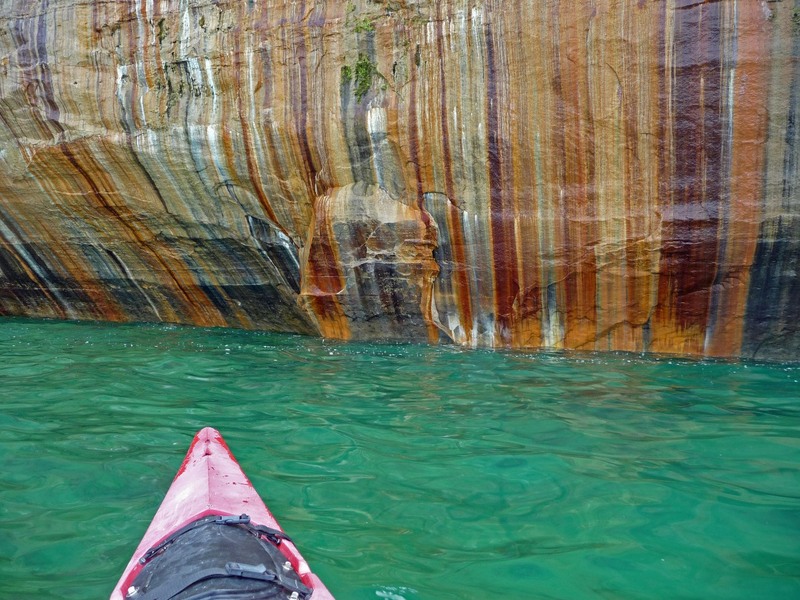 The pictures of grand arch and the multi colored rocks with green waters are just so beautiful. How many caves are there? We may have seen five or six caves on our trip, I don’t recall exactly. 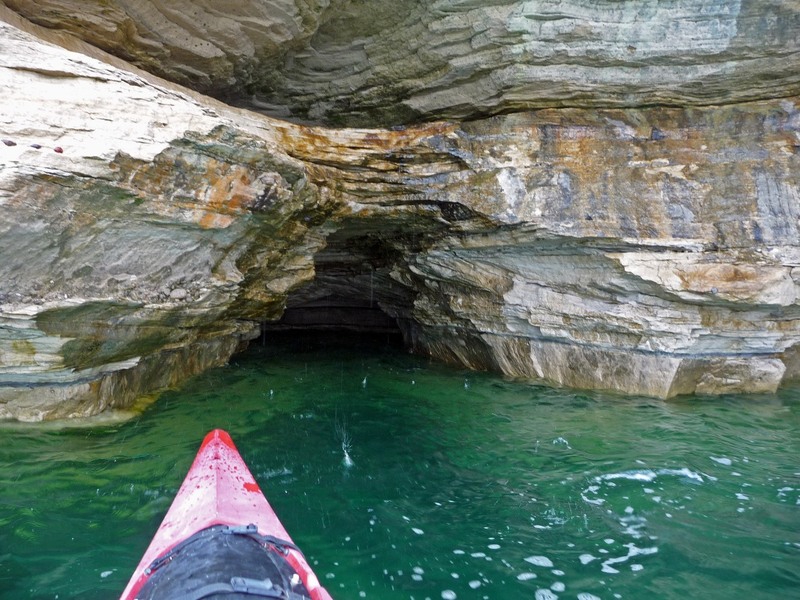 They’re not giant caves but are still pretty neat to paddle into. Amazing! Some of these shots remind me of the Mediterranean. 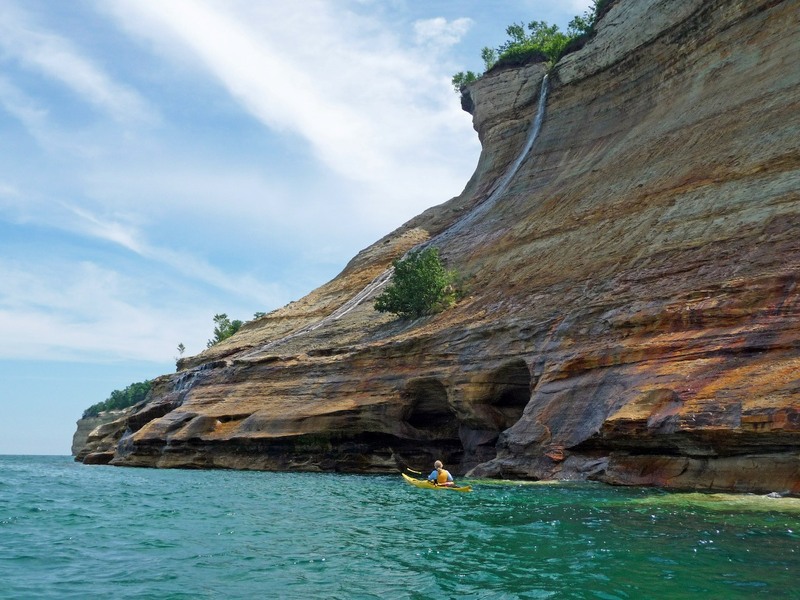 It’s hard to believe it’s Michigan! Thanks! 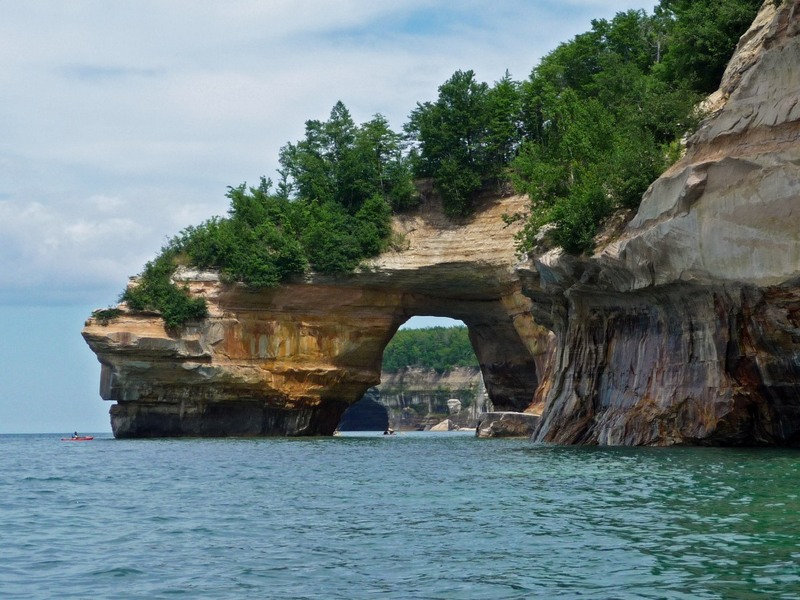 One of the nice things about traveling the way we do, slowly and deliberately, is that we occasionally find awesome places that are well off most people’s radars – like Pictured Rocks. Beautiful place for hiking , planing to go back next weekend.You are right not to many people know about it , but im spreading the world to of my friends went this year and they loved it! I think I just found a reason to go to Michigan. Beautiful! Love the pics! I haven’t spent any time in that part of the country, but it looks like it’s totally worth the trips. Our original plan had us skipping this whole area. We detoured here and are really glad we did. What a beautiful place. Will definitely add it to my list of things I would love to see/do! Love Picture Rocks. Was up there this past spring for a camping trip and found it very lovely, quite and serene. Beautiful photos. You have an amazing blog here. I need to follow you. Have a wonderful weekend.